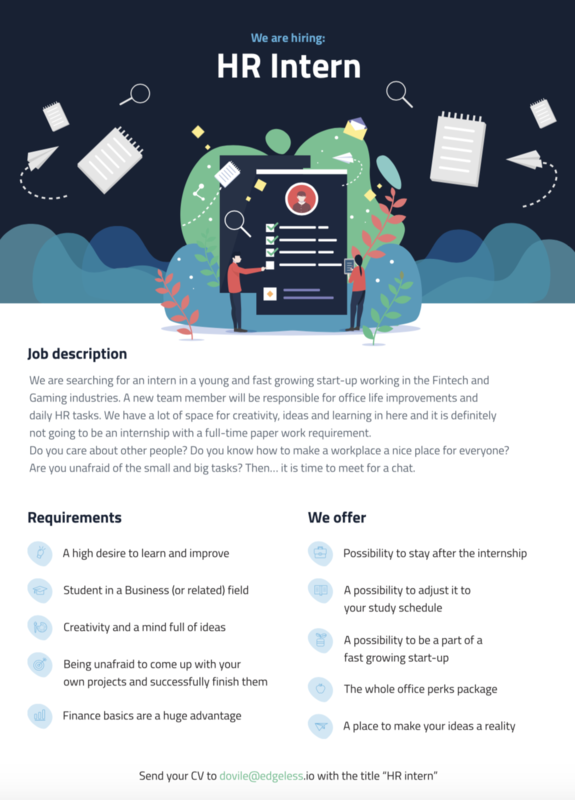 Edgeless is searching for an intern in a young and fast growing start-up working in the Fintech and Gaming industries. A new team member will be responsible for office life improvements and daily HR tasks. Edgeless releases 1.1. version and unveil the secret of upcoming games!